received this as a birthday gift and i've been using it ever since. i love the fact that it is a lip balm/ tint combination. it's really for a fuss free/ simple day while at the same time it gives me a natural and healthy look. if i'm meeting someone or attending an event, i'll add on a stronger lip colour. 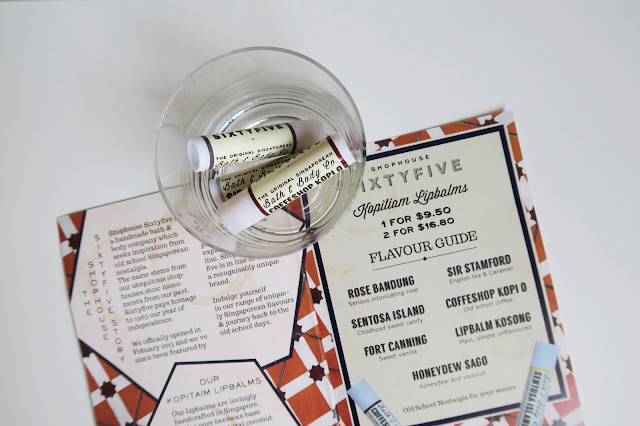 handcrafted in singapore, shophouse sixtyfive offers locally inspired flavoured lip balms made from pure beeswax, coconut and plant oils. the 3 flavours i tried includes the sir stamford being my favourite (english tea and caramel), fort canning (sweet vanilla) and coffeeshop kopi o (coffee). 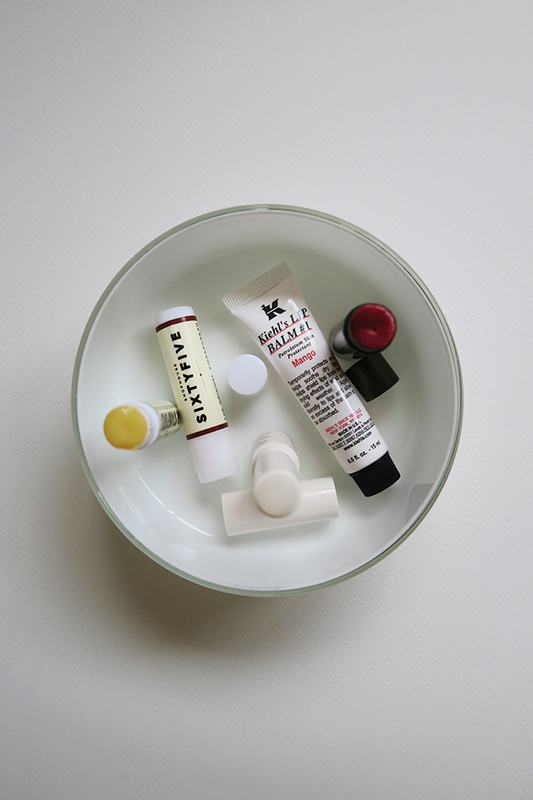 there's no denying how well kiehl's lip balm protects the lips, though there is a little give and take here. 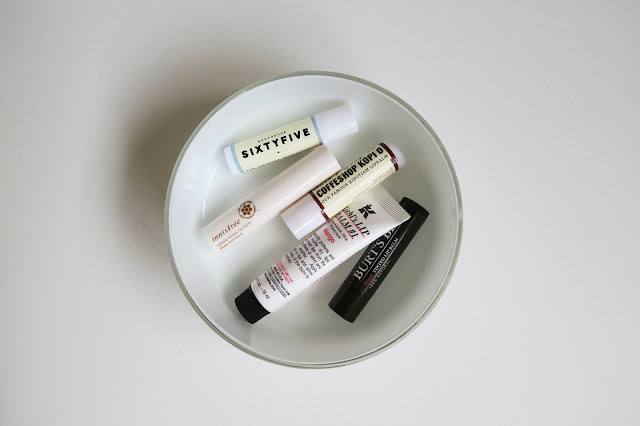 i find it slightly greasy and since its made from petrolatum it does not go well with my lipsticks. i hardly wear this out, but i would wear it to sleep to keep my lips moisturised.